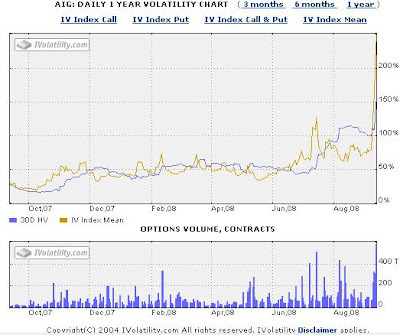 AIG's 30 day volatility (ie composite implied volatility on all its options) is now 446% compared to a historic reading of 121%. 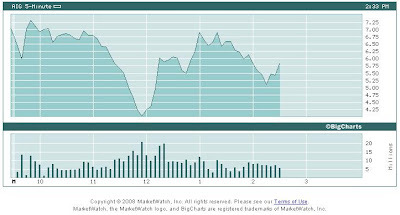 There are no obvious outcomes to its capital raising needs is what this chart's saying. NY state may relax its rules for the firm and AIG may get that $40b Fed loan but if you hold the equity it is very, very hard to envisage anything other than a longer term solution that is severely dilutive. Failing a new line in the Federal Reserve sand.